Thanks to generous funding and support from the Sloan Foundation, the Colorado Technology Primer for Economists and Social Scientists will offer two sessions July 30-Aug. 3 and Aug. 13-17 on the Colorado School of Mines campus in Golden. The goal of the summer school is to provide advanced doctoral students and early-career academic professionals with an interdisciplinary (engineering and social science) understanding of electricity distribution systems and the interface of technology and policy. The summer sessions will help participants bridge the gap between the perspectives of economists and engineers, as well as improve the quality and applicability of their academic research. The two one-week sessions will essentially be identical, and applicants are asked to choose their preferred week to attend. If you are selected, there will be no tuition fees to attend. A small amount of travel and lodging reimbursement is available and funding decisions will be made concurrent with admission decisions. The weeklong program will consist of seven lectures by staff members at the National Renewable Energy Laboratory and Colorado School of Mines, as well as industry professionals. 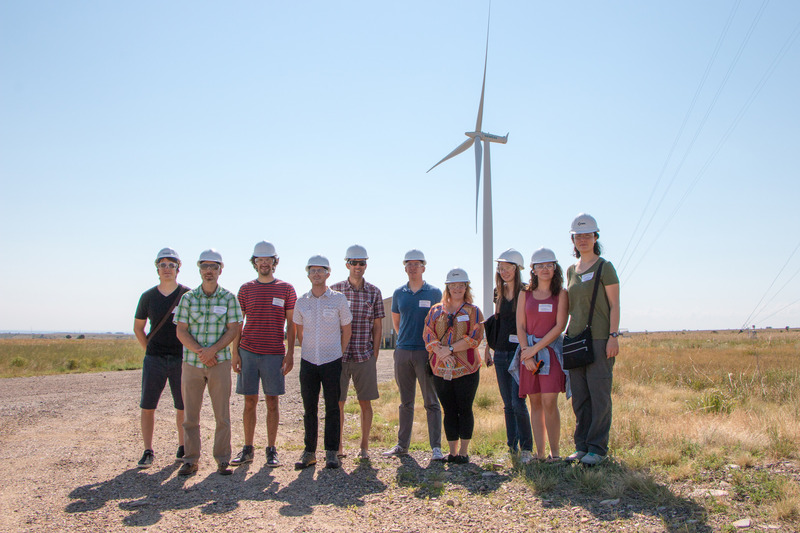 Additionally, there will be a tour of NREL’s Energy Systems Integration Facility and National Wind Technology Center that will allow students to see the renewable energy systems and electrical equipment first hand so they can better understand the concepts discussed in the classroom. In order to apply for the summer school, you must be a registered PhD student in a social science department and have begun graduate research in a social science field, or be an early-career academic professional (post-doctoral fellow or assistant professor) in a university social science department. The primer welcomes individuals with diverse backgrounds, experiences and ideas. It embraces and values diversity and inclusivity. Participants are expected to learn as much from fellow students as they will from the instructors, and diversity will enrich everyone involved. One-page cover letter describing your research interests in electricity distribution, renewable energy systems or related topics. Make sure to include your preferred week and let us know if you are available for either session (so we can balance class sizes). All materials are due electronically in a single PDF file by April 25, 2018 and should be sent to ilange@mines.edu. Decisions will be communicated to applicants by May 5. For more information, contact Ian Lange, director of the Mineral and Energy Economics Program at Mines, at ilange@mines.edu.